I have for many years supported the founding principles of UKIP in the main, though at no stage have I had much respect for the ordure of the leadership that has floated to the top, by being, it would seem, more self serving and less ethical than the next man!This has shown one of the many faults in our system of political governance writ large, with people of so tiny a vision, so politically inept, so bereft of leadership capability yet gaining the levers of power based largely on ‘low cunning & ruthless greed’ – a fault we have seen all too often in every party! Though I continue to support UKIP they will not be worthy of my vote until massively cleaned up and overhauled – neither will any of the main parties or the duplicitous wheedling Lib Dims! To judge by the risible turnouts and the sad average of 3>8% UKIP obtains, at the ballot box, it would seem I am not alone! Towards the aim of consideration of a new style of governance for the future now we have some 7+ Billion people on the planet as against some 1Billion when our present system was at its hay day – I have, over the years, held various Huntsman weekends which have in some ways morphed into the concept Niall Warry organised for and with Richard North at Harrogate, in July of 2012. Over the several weeks since our Harrogate conference, many thousands of words have been written, on the back of much thinking and discussion. As a result, I am in a position to draft a first attempt at a list of six coherent demands. They are, of course, demands rather than requests, as we are not grovellerswho must doff our caps to our masters and ask, pretty please, for some of our powers back. So, without further ado, I offer the following. After launching the idea of the Harrogate Agenda last year, with the publication and subsequent approval of our six demands, things on the surface have been quiet – and deliberately so. We are in for the long haul and have decided to make this our foundation year, setting up the structures and refining the message, ready for a modest launch in September. We could, of course, go faster, and some of our supporters argue passionately that we should. But the worst thing we could possibly do, in my estimation, is run before we can walk. History is littered with examples of campaigns that rise out of nowhere, achieve a degree of fame and then disappear as fast as they have risen, achieving nothing of consequence. Here, one must remember that the Chartist Movement, on which we are loosely based, published its demands in 1838. 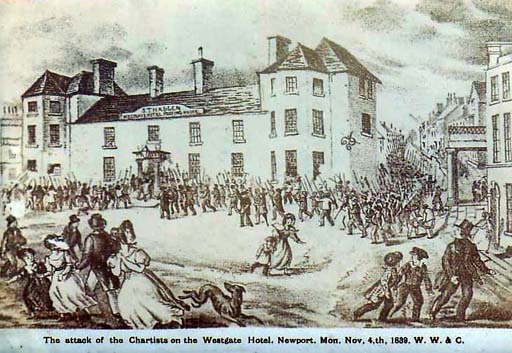 A petition was presented to Parliament in July 1839, and in November 1839 came the “Newport Rising“, a premature event which was a disaster for the movement. 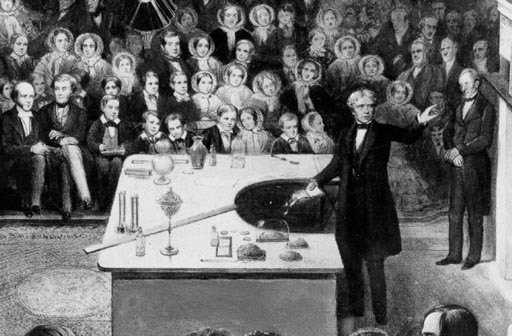 Arguably, far from the cause being advanced, it was set back by the early activism to such a great degree that it was not until 1918 – eighty years after the first publication of the demands – that all but one were met, with the advent of universal suffrage. One is conscious, therefore, of the Bastiat dictum that, “the worst thing that can happen to a good cause is, not to be skilfully attacked, but ineptly defended”. The worst thing that can happen to the Harrogate Agenda is a premature launch and a misdirected or under-resourced campaign. The crucial point, from which we can take comfort, is that the tide of history is with us. As Witterings from Witney never tires of pointing out, the “representative democracy” on which our government relies for its legitimacy is increasingly seen as an anachronism, totally unsuited to the needs of the time. In that context, despite the ephemeral fluff which is the obsession of our own media, what may be two of the most significant political events to emerge in recent years have occurred abroad – one in Switzerland, the other in Germany. The first – barely mentioned in the UK – was the Swiss referendum on executive pay, followed by the considerable interest shown by the German media and political classes, which continues today with a major feature in Welt am Sonntag, where they are looking enviously at the Swiss (below). At the core of the Harrogate Agenda, or course, is the principle of “direct democracy”, very much on the lines of Swiss democracy, borrowing from that country but not entirely copying it. But what is significant about the recent Swiss referendum is that the mood is catching. As we noted yesterday, the new opposition group in Germany, the Alternative für Deutschland (AFD), has embraced the idea of direct democracy. It demands referendums on fundamental social issues. “Blatant bad decisions by our elected officials”, it says. “need to be corrected. This especially applies to the assignment of important powers to the EU”.And here, an important theme begins to emerge. The AFD is the first specifically eurosceptic party to emerge in Germany. With a commitment to direct democracy, it confronts one of the core principles of the European Union, as specified in Article 10. This states that: “The functioning of the Union shall be founded on representative democracy” and that: “Citizens are directly represented at Union level in the European Parliament”. In other words, the AFD commitment to direct democracy, and indeed the Harrogate Agenda commitment, are incompatible with continued membership of the European Union. Direct democracy and the European Union cannot exist side-by-side. With unintended irony, the Treaty says that, “Every citizen shall have the right to participate in the democratic life of the Union”, then telling us that, “Decisions shall be taken as openly and as closely as possible to the citizen”. What it does not allow for is that decisions should be taken by the citizens. Given that the European Union is our supreme government, this necessarily requires for the Harrogate Agenda to succeed that we first remove ourselves from membership of the European Union. This means that, in terms of any future “in-out” EU referendum, we very much have a dog in the fight.In fact, not only does pursuit of the Harrogate Agenda require departure from the EU, it also gives us the reason for leaving. Direct democracy is an objective worth pursuing in its own right. If the price of gaining this objective is leaving the EU, that is extremely good value. However, linkage between the EU withdrawal and the Harrogate Agenda also tends to influence the timing and the strategy of the latter. What we must bear in mind is that, sooner or later, there will be an “in-out” referendum. At its earliest, it will be 2017, but then only in the event that the Conservatives win the next election – which looks increasingly unlikely. This notwithstanding, we must assume that, at some time in the future, there will be a referendum. In any such contest, it will be necessary that THA (as we are beginning to call ourselves) is an active player. We would expect to be a key member of any coalition which formed to the official “no” campaign, and to promote the Harrogate Agenda as one of the positive reasons for leaving the EU. Thus, in our view, the immediate objectives of THA are best served by forging an alliance with putative “no” campaigners, and ensuring that we have a seat at the table in any discussions about building a fighting coalition. All of that suggests that we pace ourselves carefully, focusing initially on EU issues, and using them – and any “no” campaign – as a springboard for a full-blown Harrogate Agenda campaign. Through this, leaving the EU ceases to become an end in itself (thereby ensuring the failure of any campaign) but a means to an end. On that basis, our target for a modest launch, with the infrastructure in place, by September, is a measured response to the need to mount a long-term campaign. And if UKIP, after 20 years and the expenditure of millions has yet to gain its first MP, for us to spend a year or so building our structures hardly seems extravagant. For some of the background you may wish to indulge in ‘catchup’ or even contribution so CLICK HERE. Politicians are failing to tell the truth, but so are almost all wanabe Politicians, and Snivil Cervants having conveniently forgotten that they are our servants and not our masters as taxation has inexorably climbed to fund their ambitions and the value of money has diminished as the publish ever more to cover-up their incompetences all enforced by the new style self serving and politicised enforcers The Police aided by increasingly corrupted Courts. Astonishingly this odious betrayal of OUR Country and its values is aided and colluded in by the MSM as entertainment so readily plunges ever further to the gutter creating people who become famous for the size of their rewards and their notoriety as ‘celebs’!. The fact is that even if EVERY British MEP wanted change in The EU it would achieve NOTHING, as even if ALL Britain’s MEPs agreed and were of one party they amount to less than 8% of the input and a miniscule proportion of decision making! Clearly The EU is set up to ensure its very size and diversity ensures democracy is self cancelling and ever more power falls into the hands of the unelected self styled and utterly corrup elite – None of whom have one iota of democratic mandate to back their corrupt social engineering and EUgenics. Every single British Politician, of EVERY Party, elected since before we joined the EUropean Common Market, has promised to change The EU’s CAP – In over 40 Years they have achieved absolutely NOTHING towards that goal, despite their claimed unanimity of aim! To try to put a value on OUR Freedom is as futile as floccipaucinihilipilification and as odious as the metissage of our societies, as we rummage in the ashes of our ancestors dreams, sacrifices and achievements, the flotsam of our hopes and the jetsam of our lives, consider the Country, Anglosphere and indeed planet which we thus leave our children and the future, with shame! Self evidently The Harrogate Agenda may not be the answer but that men and women are responsibly striving to create a better system for a better world deserves all the help we can give it whether with ideas, participation or merely our support. the first meeting of what we have come to call The Harrogate Agenda (THA), I have been careful not to push it too often on the grounds that over-exposure will simply invoke an adverse reaction. 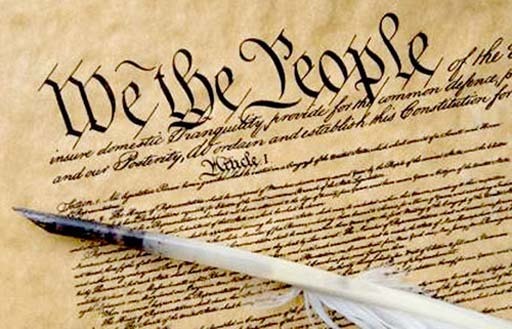 We are under no illusions that, when it comes to constitutional affairs, attention spans tend to be somewhat limited.Probably, though, I have erred on the side of caution, in that there is a greater demand for information than I anticipated. I also tend to make the mistake of assuming that because I know something and have discussed an issue with a few people, everybody in the group miraculously becomes aware of it. This, of course, is never the case. The enthusiasm of those involved is much appreciated, but we do not want to repeat the mistakes of other campaigning groups, in starting something when we can’t keep up the momentum. To service a website properly we need people who have the time, skills and commitment and, if we are going to demand all three, our view is that they have to be rewarded for their effort. They must be paid. Very broadly speaking, there are two models on which we can rely – the voluntary/donation and the business models. In other words, we can either seek to build the organisation on the back of voluntary labour, with the injection of cash donations, or we can set ourselves up as a “business”, funding our activities through the sale of goods and services. The essence of this “business model” is that there should be saleable products and services, and it is here that a great deal of work has been going on behind the scenes. The aim is to produce a starter “package” by September, which will spearhead our fundraising activities. Before discussing this in detail – which I will do in next week’s piece – I want to explore how we actually go about marketing this package, and it is here that the word “franchise” rears its head, inviting unflattering comparisons with well-known commercial operations. However, one should not get hung up on the word. Very often in literature we see it combined with another word, as in “political franchise“, meaning – effectively – the mandate we give via our votes, to elected MPs. We chose to mean by “franchise” a mandate given to individuals and groups to go out and spread the word about THA, in a way that will ensure continuity and secure adequate funding. In short, at the “centre”, we will develop a marketable “package” (of which more next week). But, instead of adopting a “top-down” marketing structure, where everything is managed and controlled from the centre (thereby limiting growth), we aim to make this available to volunteers (or franchisees) who will undertake to develop particular territories. Having promised to write a piece on the Harrogate Agenda each week (usually on Sunday), I thought of making my last piece today’s subject. This deals with protest groups throughout Europe, reflecting the growing disillusionment with establishment politics. If I was to have focused on that, it would have been to ask how many of the movements we are now seeing have actually achieved anything substantive, and how many of them will still be in place in, say, twenty years time, and will have achieved their objectives – whatever they might be. What probably distinguishes The Harrogate Agenda (THA) from these other groups is that we have a very clear statement of objectives. This has been carefully thought out; it strikes at the very roots of power and, when adopted, will make a very significant change to the way we are governed. That said, we have no illusions about the difficulties involved, and have thus written earlier about being in this for the long haul, and of the need for a foundation year. There are those who would wish us to move faster, but from those, I notice no convincing arguments about how we could speed up the process of getting the Agenda adopted. That, actually, defines our approach. There are many would-be campaigners who define “success” in terms of activity rather than output. They will congratulate themselves on holding a demonstration, on starting up a website, on getting favourable publicity, or even on coming second in an election. For THA, though, there is only one measure of success – the implementation of all six of our demands. If we achieve that inside twenty years, it will be a miracle. And the only way that “miracle” will happen is through a carefully structured, measured approach, built on solid foundations. Further, it has always been the case that campaigns cost money and, last week, I discussed the idea of creating a form of franchise, which would enable the movement to be structured as a business, to generate an income to cover expenses and to pay those who work for the cause. There are those who disagree with this approach, but unless they can come up with a better idea for funding a long-term campaign, this, as they say, is the only game in town. We would need to be convinced that there was another model which could sustain us over the many years that it will take to fight our corner. Short of any better ideas, we will continue to work on a franchise model, as described last week, to which effect, we have already devoted a considerable amount of time and effort, developing the “product package” which will form the basis of the franchise. So far, what we have in mind is a basic foundation pamphlet, similar in length to a typical Bruges Group pamphlet, which will describe the basics of the Harrogate Agenda, and the reasoning for it. This, our franchisees can sell for a modest fee. In time, we will also produce six further pamphlets, each one describing one of the six demands in greater detail, again produced for sale at a modest fee by our putative “franchisees”. On top of this, plans are well advance to produce two broadcast quality video documentaries, each of about half an hour in length. The first will essentially illustrate the foundation pamphlet, and the second will be about the “Norway option”, and its application to any forthcoming EU referendum and a “no” campaign. We aim to have short versions on YouTube, but the full-length films will be available on DVD and download, for a modest fee – more saleable products to form the franchise package. Over time, we will, of course, consider making more. These two are assured, as we have secured the very generous sponsorship to fund their making – about £25,000 in all – and have a busy filming schedule set for the summer, aiming to complete by our annual conference, provisionally set for 19 October. However, the core of the franchise package, and the bulk of our early activity, will be the “workshops”. These I will describe in more detail next week, but the essence is a series of talks which, when combined, can form half-day, day or weekend “events” which can be marketed to the public for a fee. The basis of this “product”, in the hands of franchisees, will be a fully tested series of lecture notes, powerpoint illustrations, and a support package which includes training and marketing assistance. When we get going, therefore, we will have a range of “products” – the workshop series, pamphlets and DVDs, with more to follow. On top of conferences, and other events, we think this will make a good start. But quality products don’t come quick, cheap or easy. Which is why we need a foundation year.